This fashion template is appropriate for a dress or shirt with accent on the side so you can show interesting details there. Use the dog as an addition for her clothes. 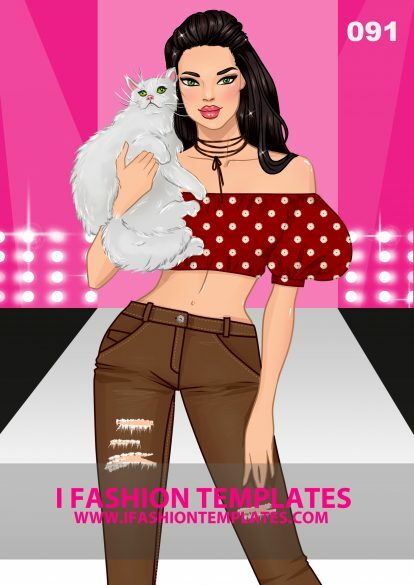 Design him shoes or shirt that will make both outﬁts match together. Highlight her wrist with gorgeous bracelets. There is a pose that is always looking professional and beautiful in fashion sketches. It's the front view walking pose. 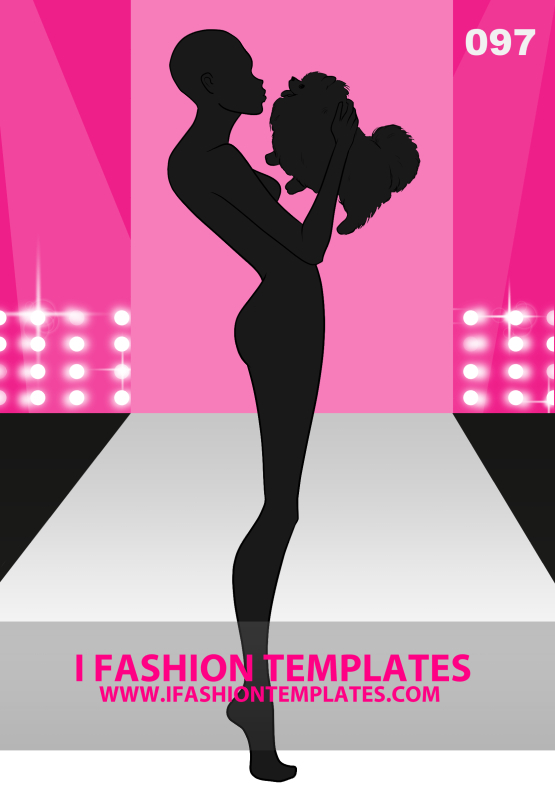 This variation of the classic runway pose is with arms swinging around the body and one leg gracefully behind the other. You can use this template to draw any garments! Suits, skirts, dresses, swimsuits or outwear - you can't go wrong! This fashion figure is what you are looking for in case you design a collection with focus on pants. The pose shows the inside seam while maintaining the front view. It also highlights the pockets and the belt loops which is ideal for designing jeans. Shorts, leggings, jeans or pants - the choice is yours. This is another essential fashion figure base. The model is standing still with her hands down and one leg slightly bent. The pose is one of those that are enough to base the whole collection on. Dresses, skirts, pants - everything will look great on this classic model.